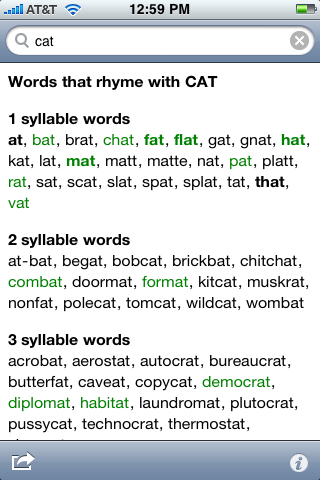 RhymeNow highlights words based on the frequency of their usage in the English language. More common words are more heavily highlighted, making them easier to spot. RhymeNow also lets you email the results or copy them to the clipboard for use in another program.